Coming from a rather long and tiring wait from the doctor’s clinic for my husband’s check up, I suggested for us to have our very late iftar at Lo Spaghetto, which is just right around the corner of Toys R’ Us at Al Sadd St. As hubby was about to pass out from the extended fasting, this was the nearest place we could immediately go to. The new location of the restaurant is quite deceiving as it doesn’t show much from the outside. But, lo (Spaghetto. Pun intended, sorry) and behold! Once you get it in, it’s an entirely different universe. Rustic yet chic interiors, inside seating is quite spacious and beautiful but what the place can really brag about is the garden seating. It’s like someone’s backyard; trellis and panels with hanging bougainvilleas, and lots of plants. I haven’t seen such a restaurant right in the heart of Doha (except for Chef’s Garden but it is in the outskirts Of the city). It kinda made me miss my home back in Manila. 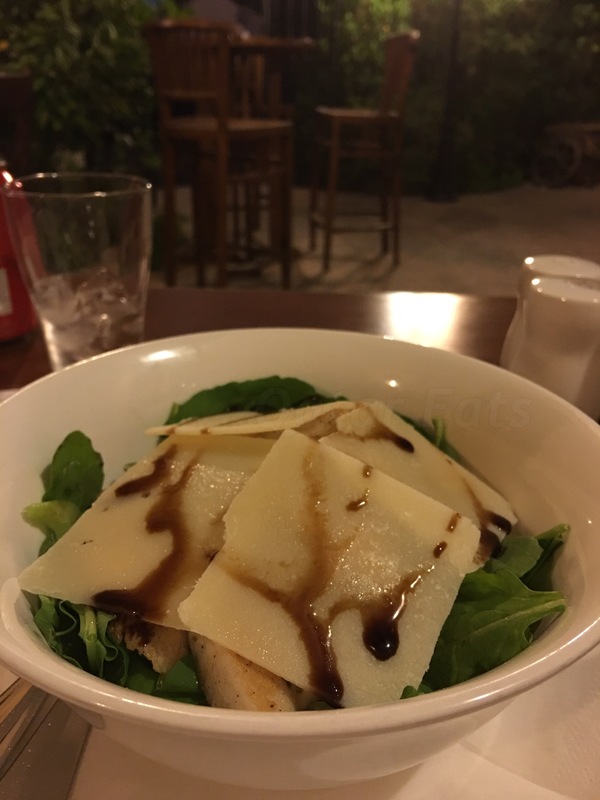 No pretense, just rocket leaves, chicken and parmesan seasoned with balsamic vinegar. 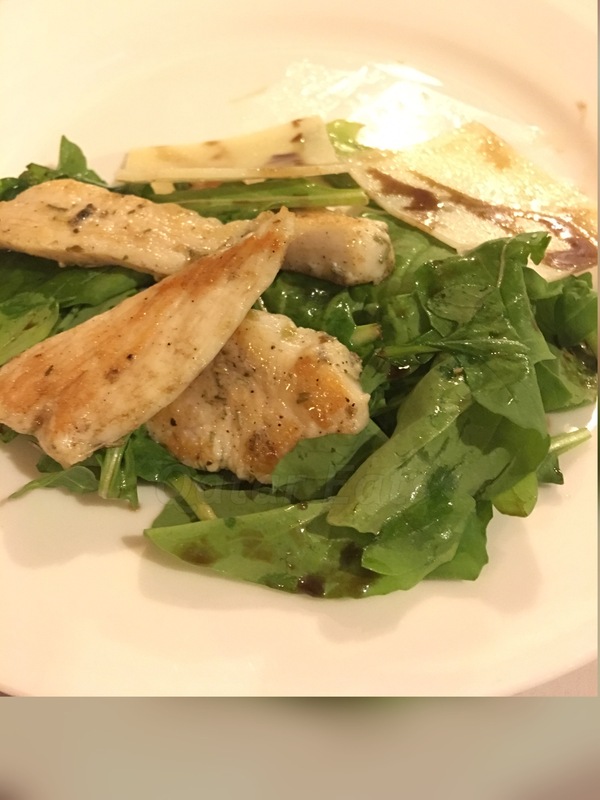 All ingredients worked together to make this simple, clean, and delicious dish. This is what hubby ordered and he enjoyed it. 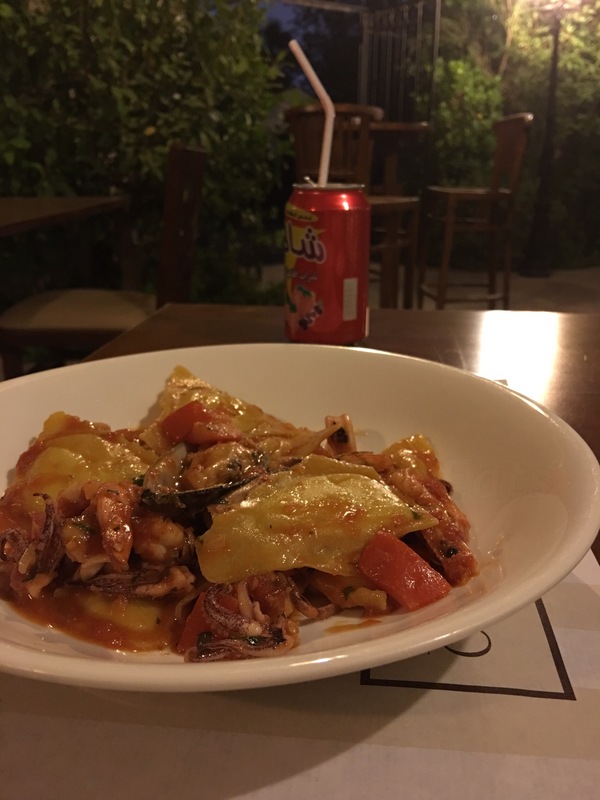 I had a taste of it and it’s good but not as great as the ravioli of The French Olive. 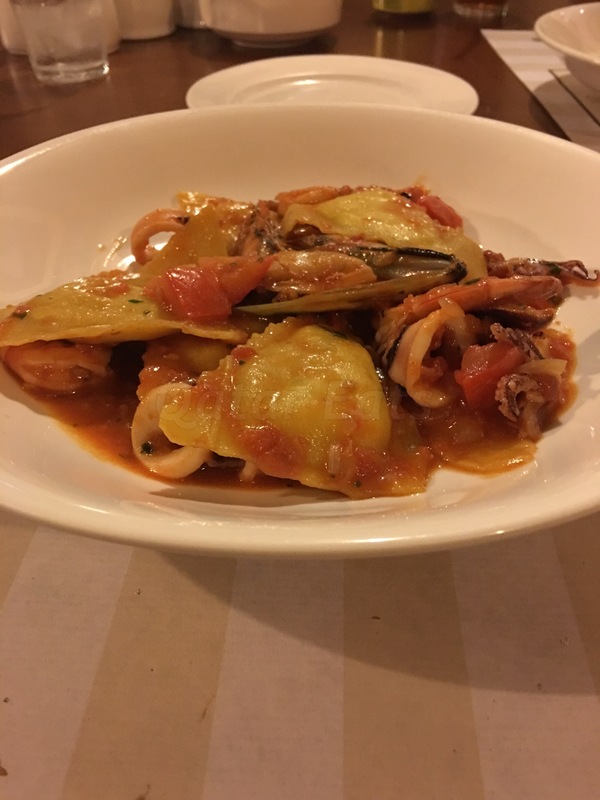 But the seafood sauce was freakishly amazing. Ah, this one. 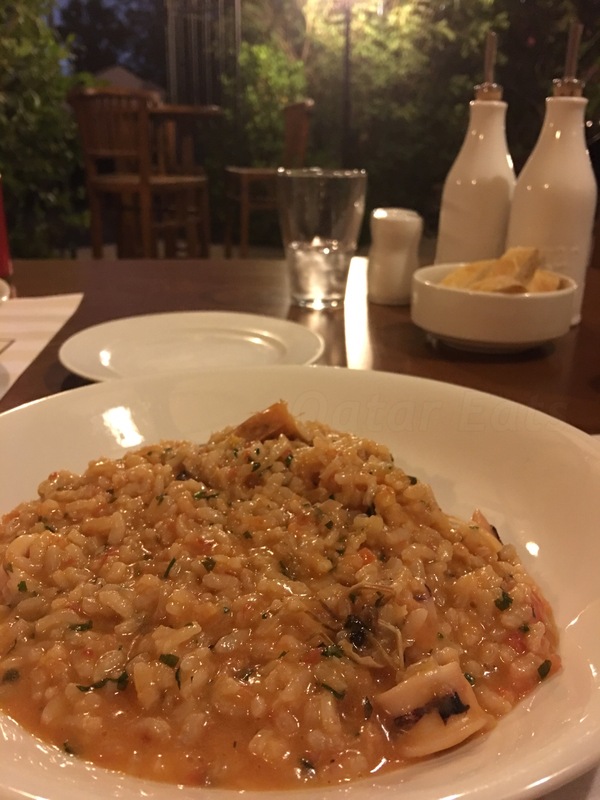 I have tasted several risotto in my life, this one may not take the top spot but was so good and comforting that I just wanted to curl up in my comfy couch while nursing a bowl of this hearty dish. I literally cannot pass up the chance to eat a tiramisu in any restaurant if it’s available in their menu. 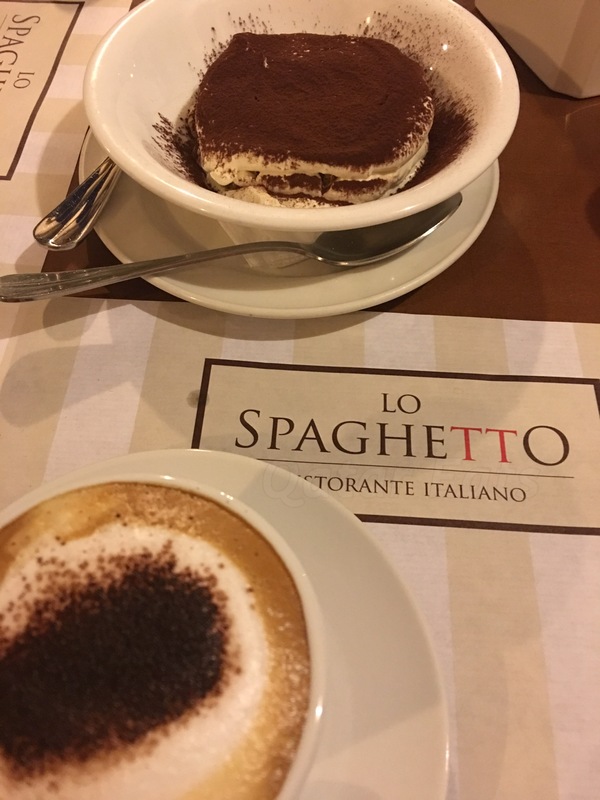 I think I’ll dedicate a post entirely about tiramisu and who makes the best one in Qatar. It paired up really well with their cappuccino which was also very nicely made. If you’ve ever had the tiramisu from Biella (which for me is really sooo luscious and love), it’s kind of like that but a lighter, airier version. And I like it! It’s great after the rich dish I had, it leaves a sweet reminder in your mouth that you just had a great meal and will remember it for a long time. The staff were polite and discreet. They don’t hover around and doesn’t make you feel rushed to finish your meals. They do their timing of checking on tables properly. And the staff assigned to us was very knowledgeable with their menu. There was just a slight hiccup when they initially charged us for 3 cappuccino instead of the two that we ordered. 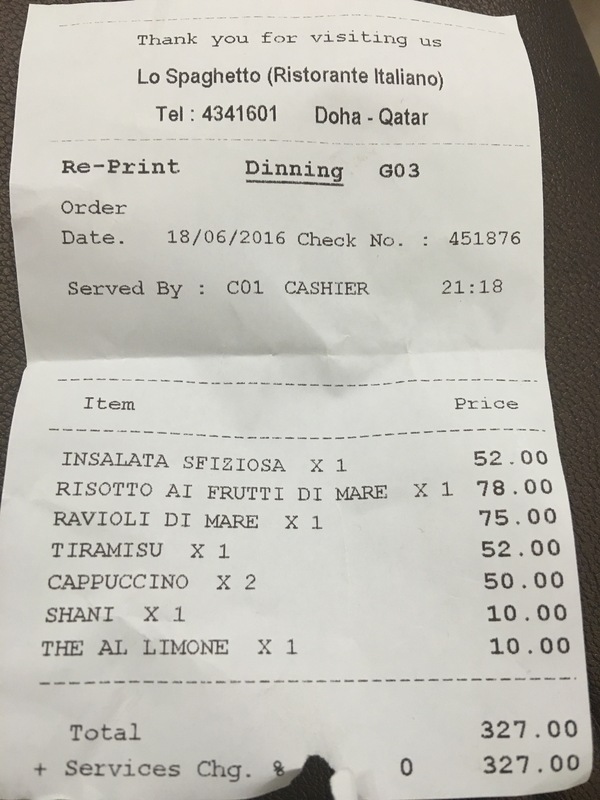 Also, as per the menu the soft drink was only QR8 in their menu but they charged us with QR10. As it was only QR2 more, we left it as is. For me, it’s bordering to splurge but hey, it was a very enjoyable and relaxing evening that we didn’t mind the tab. We had a chill time! I haven’t been to their old location despite the urging of friends and family because that place (behind Royal Plaza, near the Asiana restaurant) has very bad traffic and parking area. I’m not regretting my decision not go before as I don’t think I’d have enjoyed it as much as I did tonight. 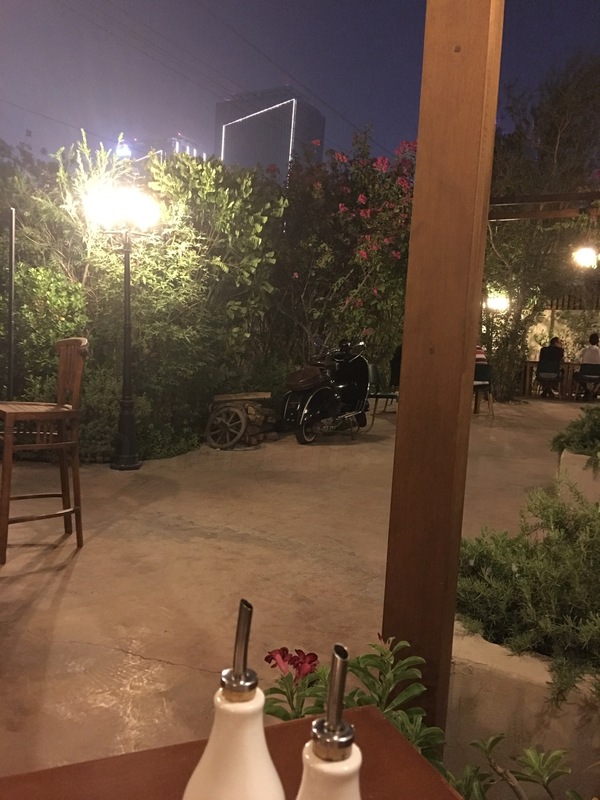 I very much enjoyed our dinner date and I got to surprise my husband because he didn’t expect that lush greenery of their garden seating to actually exist in one of Doha’s busiest area. The whole set up of the restaurant just made the overall experience great. 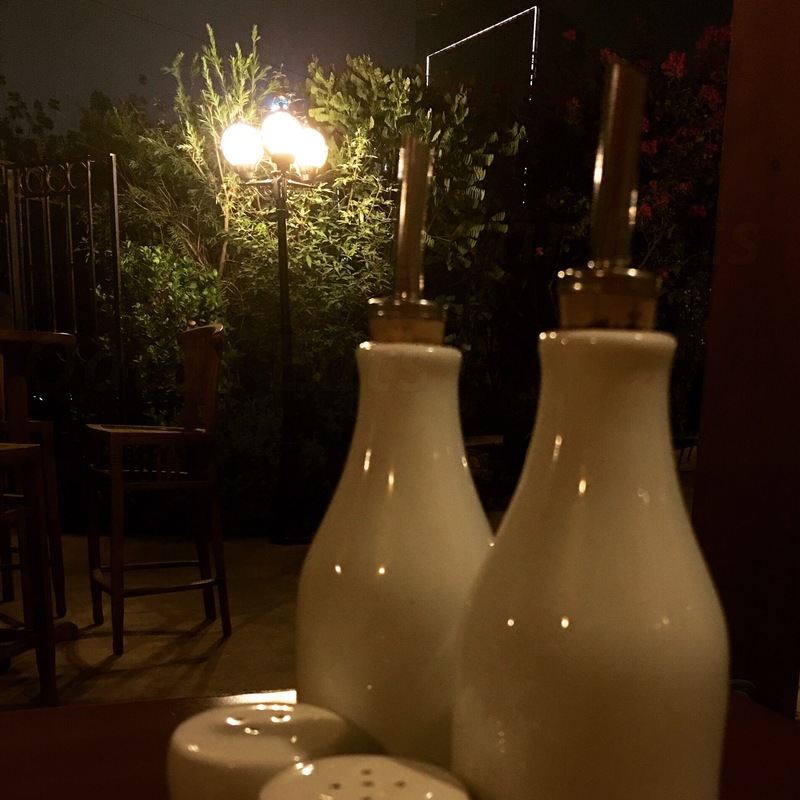 It’s a cosy little place that is great for a lovey-dovey date or just hanging out and chillaxing with your friends. Now, if they can only serve wine…just a wishful thinking.